It’s important to remember that what you say in the form, your phone interview, and the photos you attach are all used to help find your match. We ask you what any potential Sugar Daddy would want to know. Tell us about yourself, and describe the type of gentleman you are looking to meet. You’ll find that VIP Men are the most generous. If you want to learn how to become a successful sugar baby and gain the attention of VIP sugar daddies, we do offer 1-on-1 coaching services. Even if you just recently decided “I want a sugar daddy”, we can help you get started. Our matchmaker experts can teach you everything you need to know on how to find a sugar daddy. Please read the photo guidelines below. 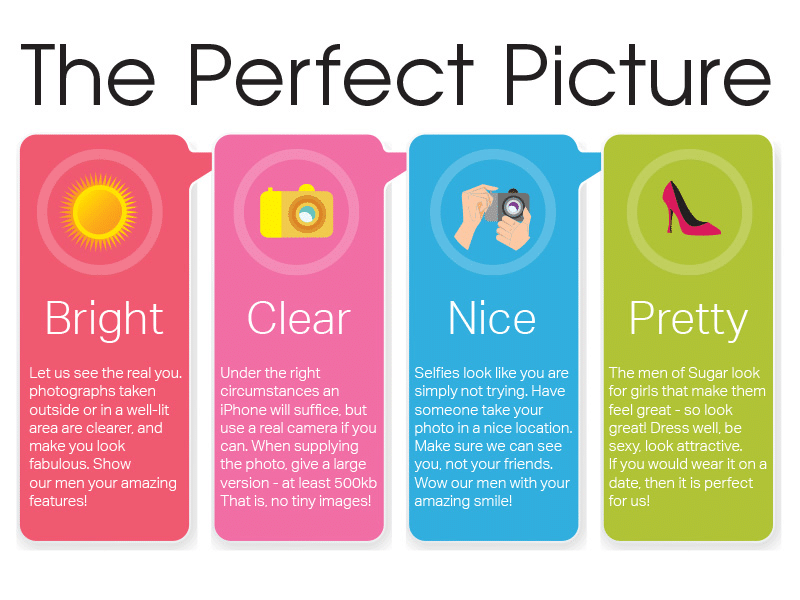 Your photos are extremely important. Remember, your pictures are NEVER publicly displayed. We are NOT a dating website with online “profiles”. Any photographs and personal information about our clients and members is strictly used internally.